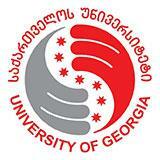 The students of the University of Georgia are provided with the high quality comprehensive career services at the Employment Support Center. Having established the successful partnerships with multiple private companies and public organizations in Georgia, the center facilitates relationships between the students and employers. We believe that the success of the University graduates and their outstanding professionalism is not only the result of the advanced academic standards, but also the consequence of the efforts to equip the students with skills necessary for the modern job market. Our students and alumni are provided with the trainings on the topics such as: effective resume and cover letter writing, job search skills and strategies, the techniques of a successful interview, networking etc. These trainings are helpful in becoming better prepared for the transition from university to employment. We assist our students and alumni in development and implementation of their career plans by identifying their individual needs and fostering purposeful career-related decisions. The combination of our academic excellence and the efforts put into the career services has been successful, as demonstrated by the latest research results, whereby more than 93% of UG students and graduates are employed.